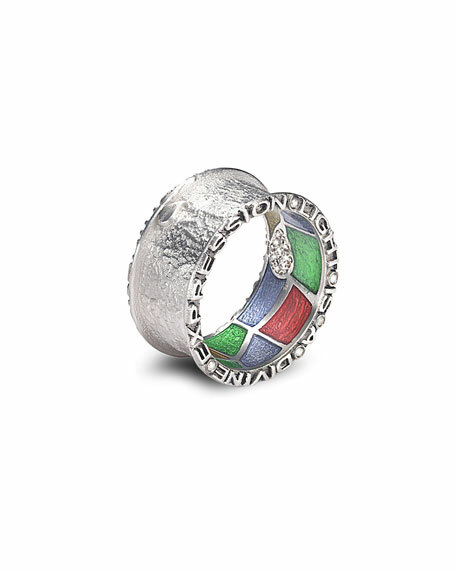 COOMI band ring from the Sagrada Familia Collection. Sterling silver with etched finish. "Light is a Divine Expression" carved at band rails. Multicolor geometric shapes trim inner band.